We used shelves from around the home to create a library for this book loving client. Now they have a peaceful perch to enjoy their books and host guests in the spare room! 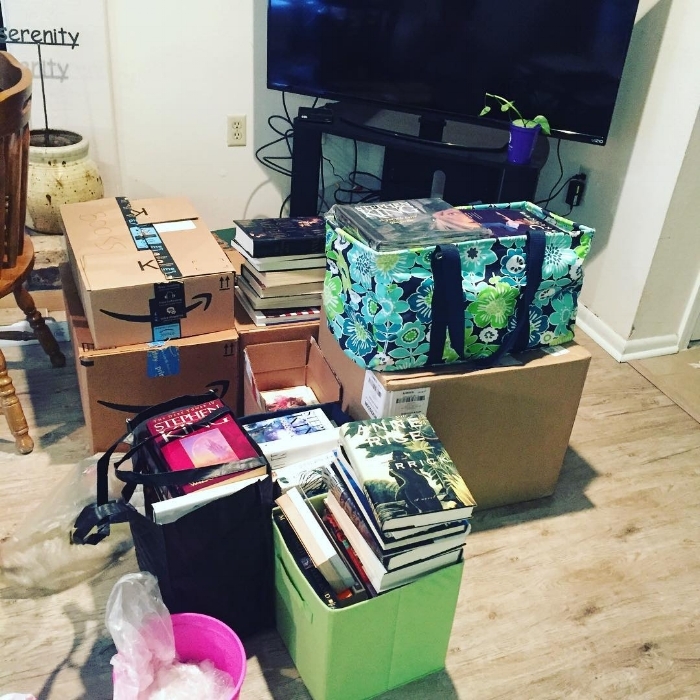 My client, a true book lover, writer and editor, culled her collection today so she would have less clutter. She donated over 500 books to Runnels School for their library and used book sale. You see, Runnels is still recovering from the 2016 floods where they lost everything, including all of their library books. This donation will benefit so many students. We made her guest room a small library where she can enjoy her favorites over and over.